I have uploaded the first of my digi stamps! This is a royal poinciana that I did several years ago and just dug out and colored. The royals are coming into full bloom and are so brilliant and beautiful. I love the combination of the background with the single bloom. For both cards I just printed out 1 of the background images and one bloom. 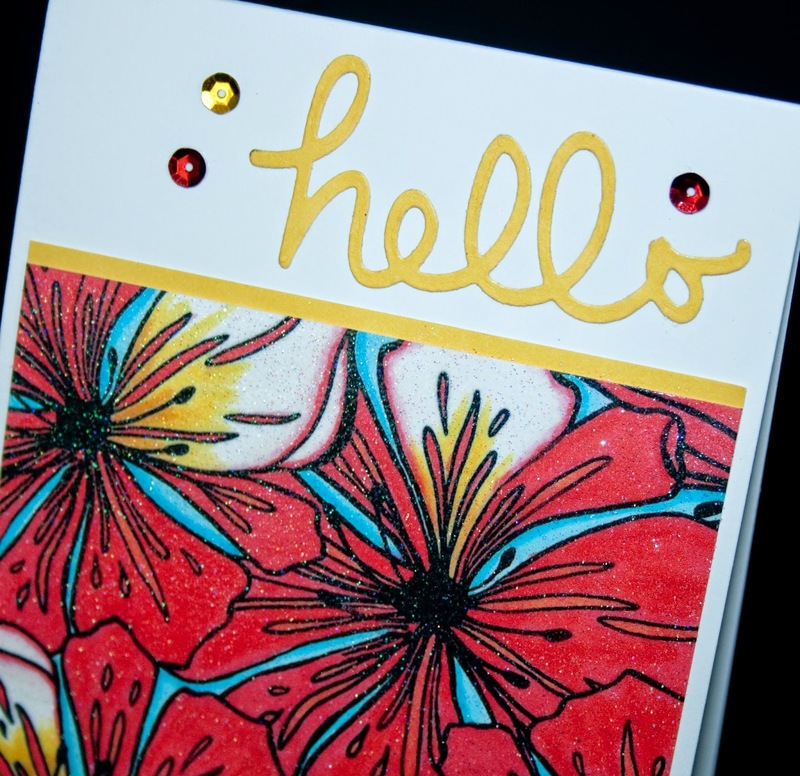 For the Hello card I cut to a 4 x 3 7/8 square and added the strip of yellow cardstock and used the TCW Hello die and some sequins. For the second card I used the left over piece of the background and the bloom with the sentiment from the Garden Silhouettes from SNS embossed with Mediterranean EP, ribbon and sequins. 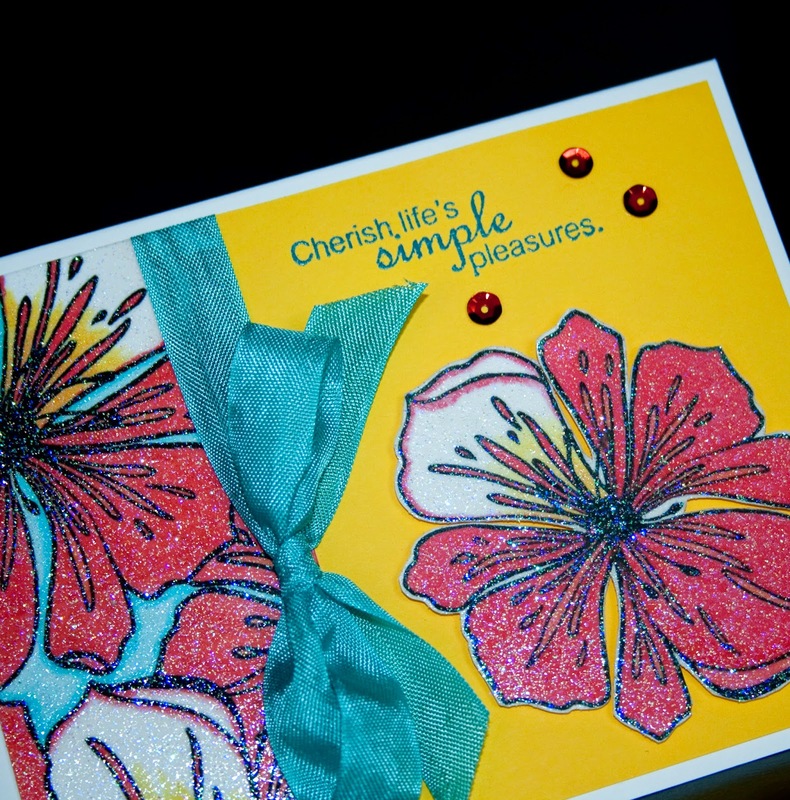 All the pieces were covered with Versamark and embossed with Sparkle EP to bring out the brilliant color and sparkle of the flowers. 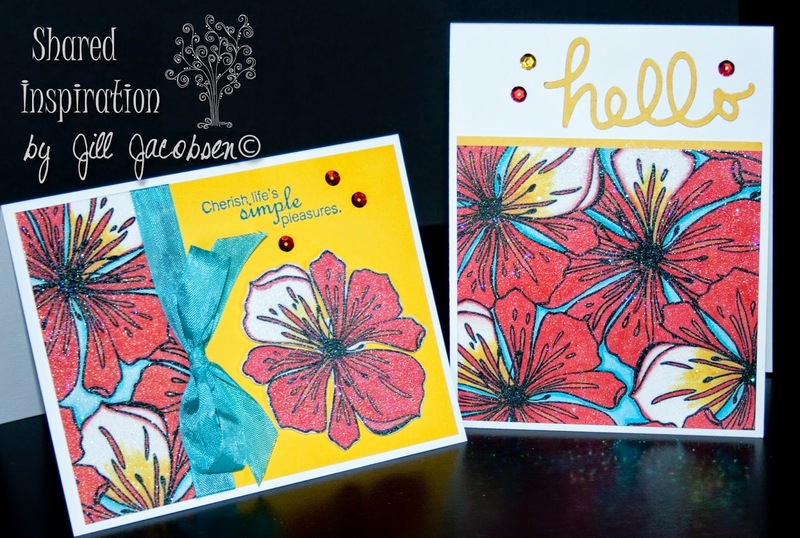 Such quick and easy cards, but oh soooo pretty and cheerful!! 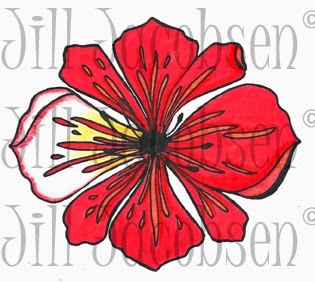 Since this is my first digi stamp I am giving it away FREE....just go to my store here and purchase the stamp for free and I will have to approve the free purchase then you will be able to download the image and save it to your computer. In the future when you purchase a digi stamp it will be an immediate download. I am giving a you both a colored image (that I colored with Copics) and a black and white if you choose to color it yourself. Thanks for taking your time to stop by and visit me!